How many Finnish nights spent waiting for the bear !! 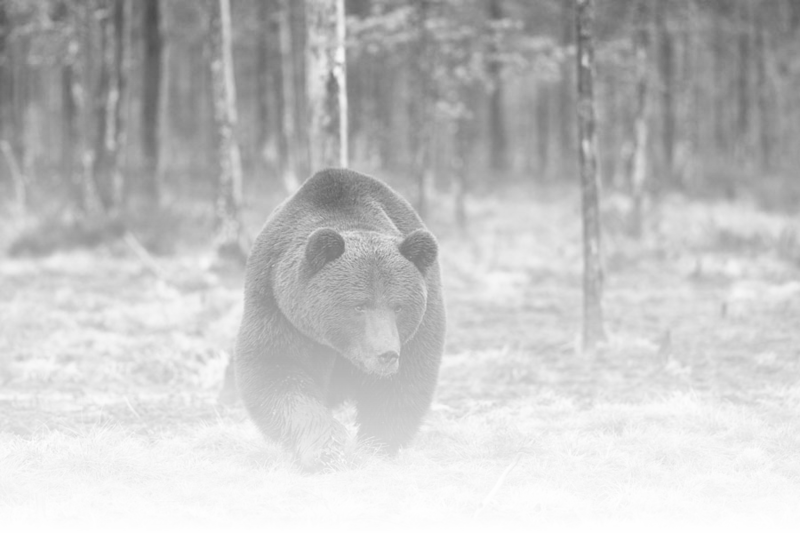 The bear is, in the imagination of man, a particular animal: the largest mammal of the Old World, it can stand upright and look like man, so as to have it be so often in our folklore and our myths. It is the first animal to have been worshiped by humans and Neanderthals buried bear skulls with those of humans in a ritual. Many native people consider themselves descendants of the bears: in Siberia or Mongolia - but also the inhabitants of Arcadia in Peloponnneso thought to be descendants of the Bears. Perhaps because of this ancestral feeling, but also for its social behavior, I have a special fondness for this animal. Often solitary or in small groups, wanders in the forest, shy but strong and powerful, equipped with deadly weapons (teeth and claws), brave and fierce. Spirit of the forest, the archetype of man, we all have a little bear in us, many are terrified, someone shows respect and is fascinated.